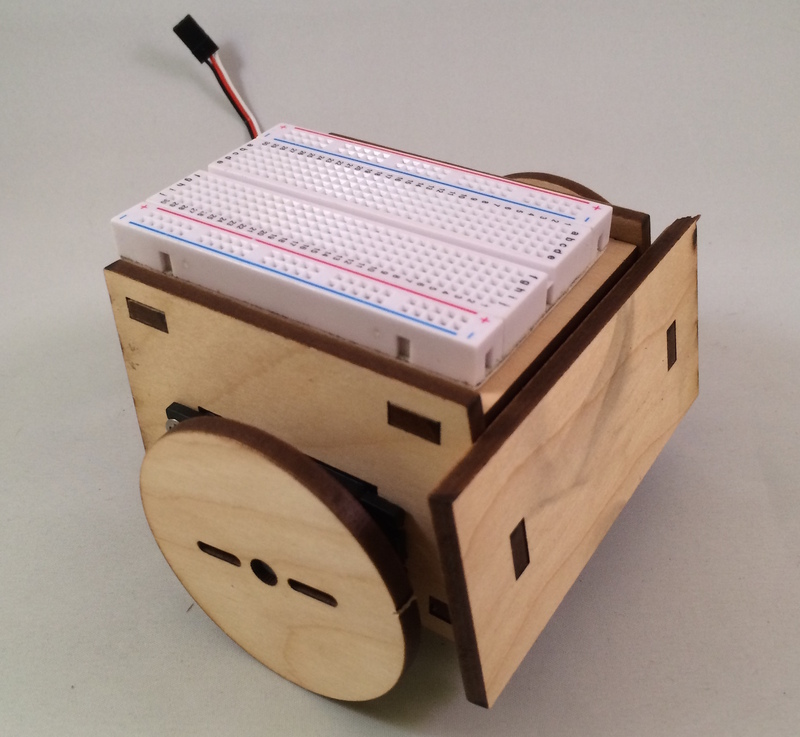 In this article, I’m going to walk through preparing, assembling, programming and customizing the same SumoBot that all attendees received. 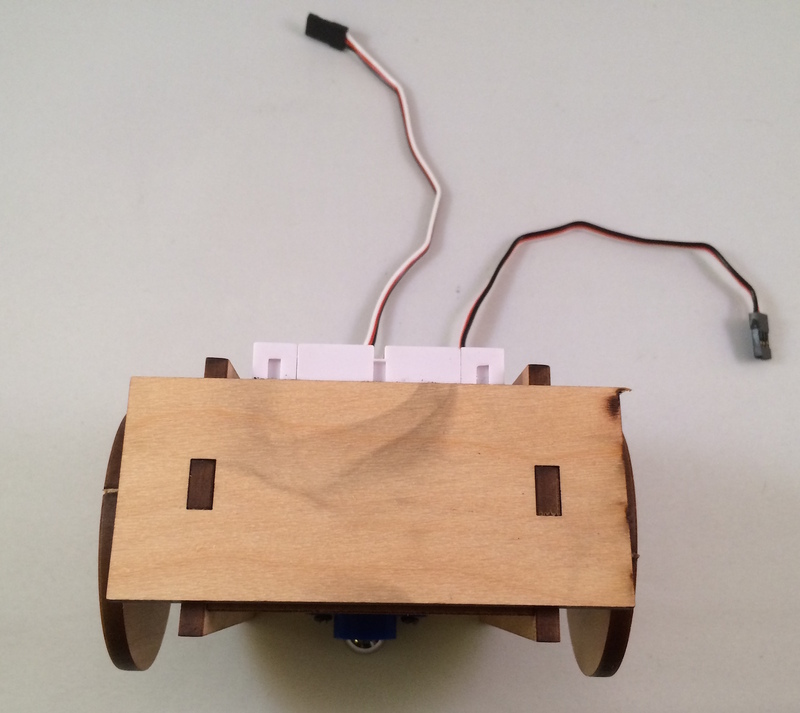 I will also show how to control the bot with all three of the boards mentioned above. Connectivity: Wi-Fi, Bluetooth, or Serial port. Pin Capabilities: digital IO, ADC or PWM. Power specifications: Logic level, VIN, VCC, and Voltage Regulation. Form factor: board dimensions and footprint. 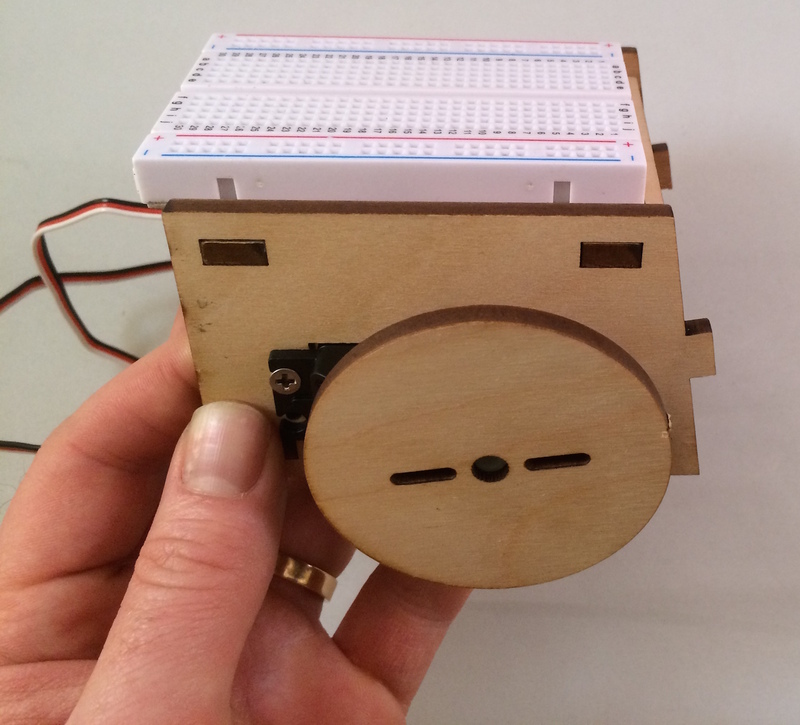 For the SumoBot’s most basic form, I’m only interested in the pin capabilities. 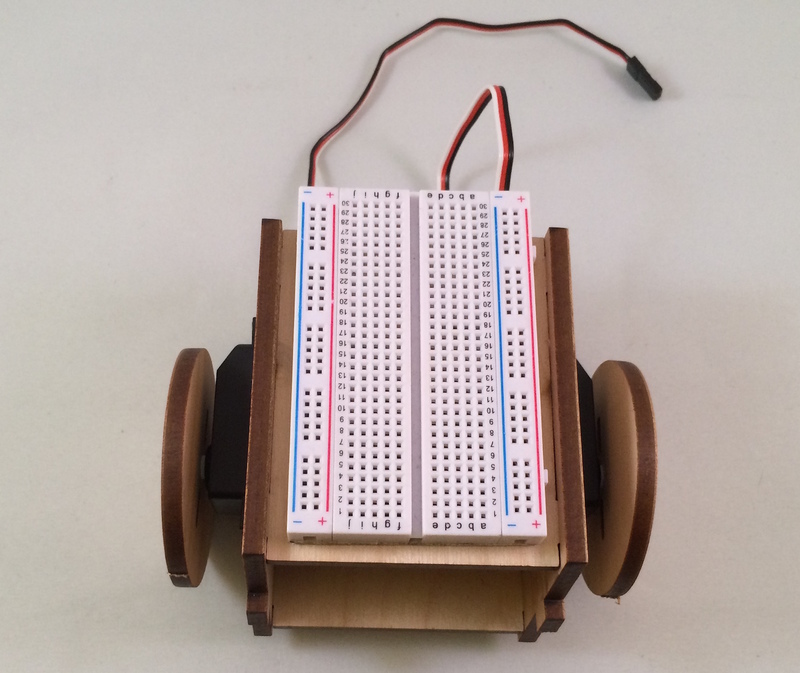 The bot is driven and navigated via a differential drive system comprised of 2 continuous servos, which means that we need at least 2 PWM capable pins. A Photo resistor (light sensor) that requires 1 Analog IO (ADC) capable pin. Two LEDs that require 1 Digital IO capable pin, each. The following table illustrates the pin capabilities of each board that I have available. It’s clear that they are all adequately qualified for the project. The SumoBot Kit comes with an insert that features a complete inventory list for the items in the kit itself, however there a few add-on items that I’ll use which are sourced from the ARDX Kit. Additionally, each item is accompanied by an explanation. Battery box with 4 AA batteries. A single AA battery provides a 1.5V source, delivered at 700mA; when connected in series, 4 AA batteries provide 6V, delivered at 700mA. All three of the boards can operate with 6V; the Electric Imp and Spark Core will regulate to 3.3V and the Arduino Uno will regulate to 5V. 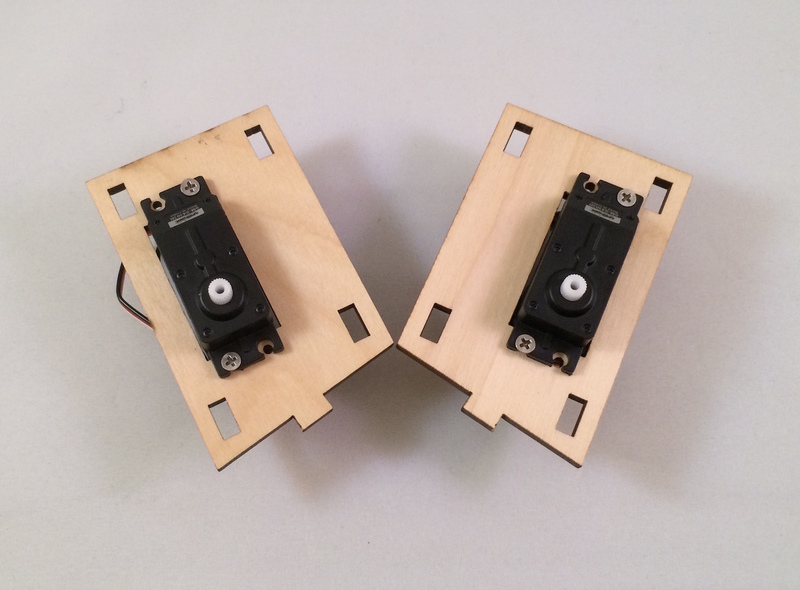 The servos included in the kit operate at 6V. Photoresistor, or light sensor. 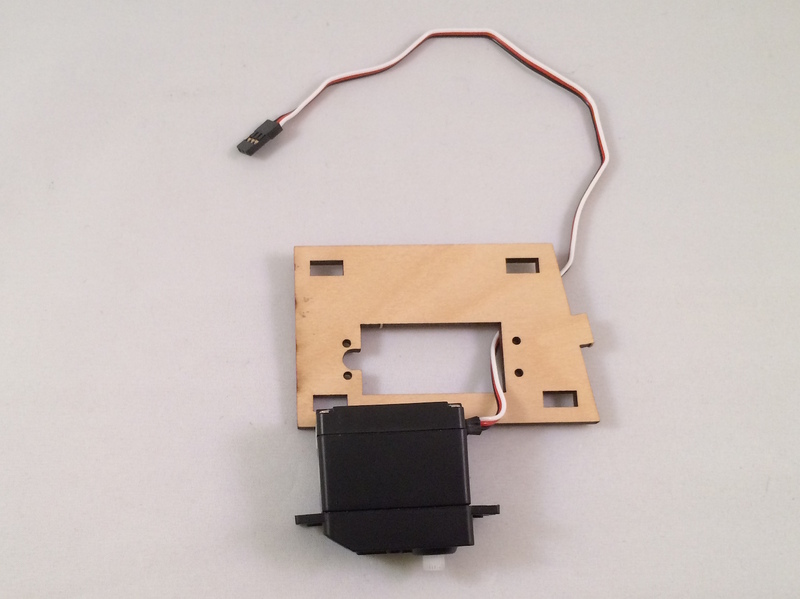 This can be sourced from the ARDX Kit and will be used in a later customization of the bot. LEDs: one green and one red. These are sourced from the ARDX Kit and will be used in a later customization of the bot. 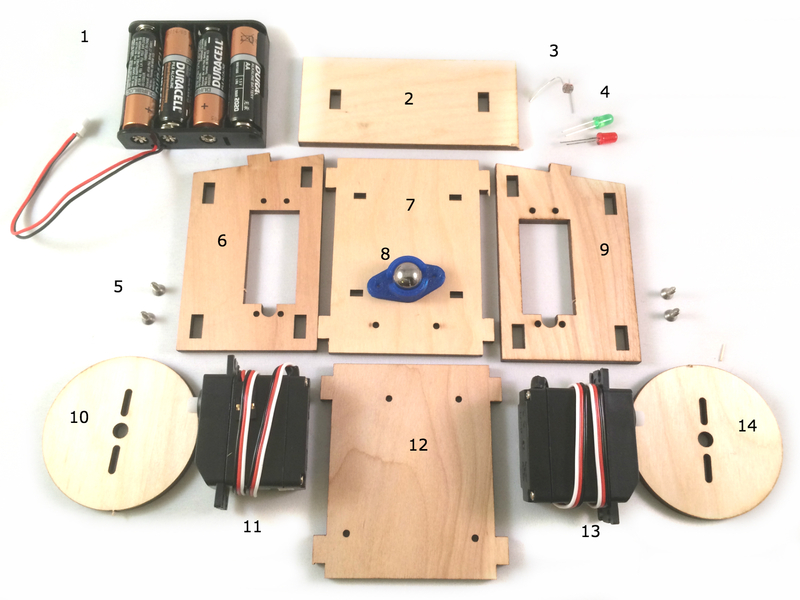 Screws; the kit provides 6 and the build will use 2 on each side to secure the servo to the body. The remaining 2 will be used in the Arduino Uno build to fasten the board to the solderless breadboard for that build. 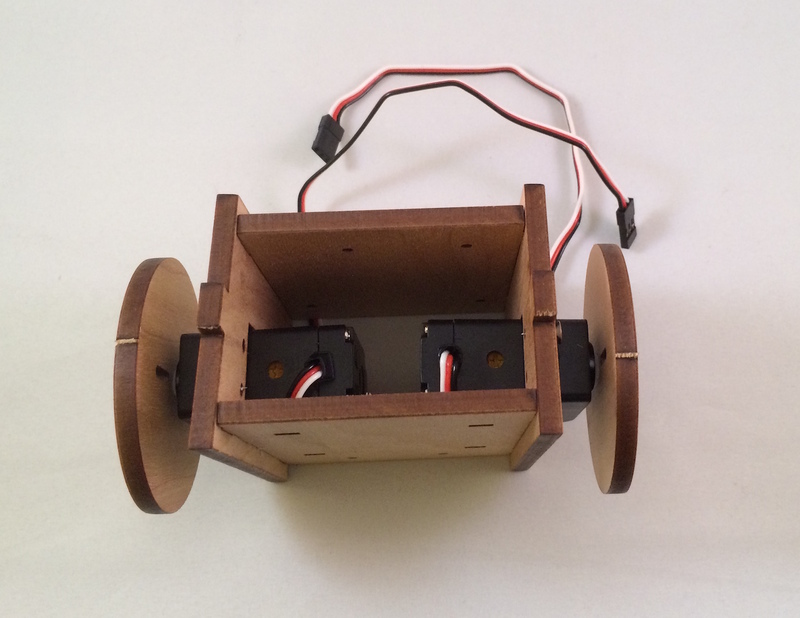 Ball caster; used in this build as the “back wheel” to support the rear of the bot. Before proceeding to the assembly step, there are three major preparatory tasks that must be completed. Consider the project blocked until these tasks are complete. 1. Start a project directory, install Node.js modules from npm. If using Arduino Uno: nothing further. 2. Setup and connection of controller board. 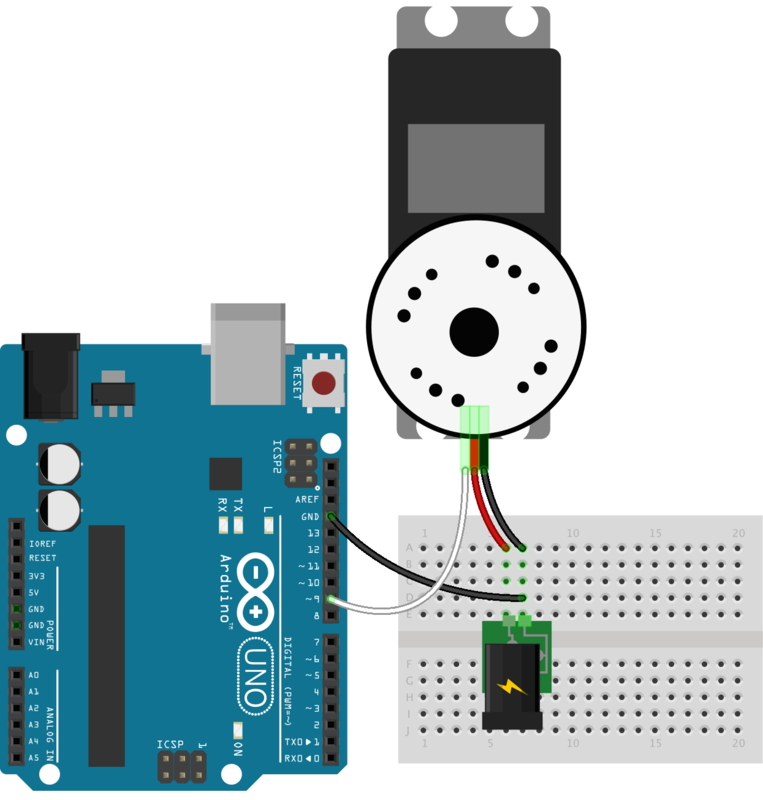 Arduino Uno. This is the easiest of all three and most recommended for beginners (a 10′ or longer USB Type-B is recommended for the most fun). Download the Arduino IDE, version 1.0.6 or newer. Connect the Arduino Uno to your laptop with the USB Type-B cable provided in the ARDX Kit. Click the Upload icon (a rightward pointing arrow in a circle). Once complete, close Arduino IDE, there will be no further need to use it. Do not disconnect the USB cable. Follow the Developer Kit Quickstart Guide, but skip step 10 where you are instructed to write your own agent and device “Hello World” code. In the Agent pane, paste the Agent.nut from the Tyrion firmware. 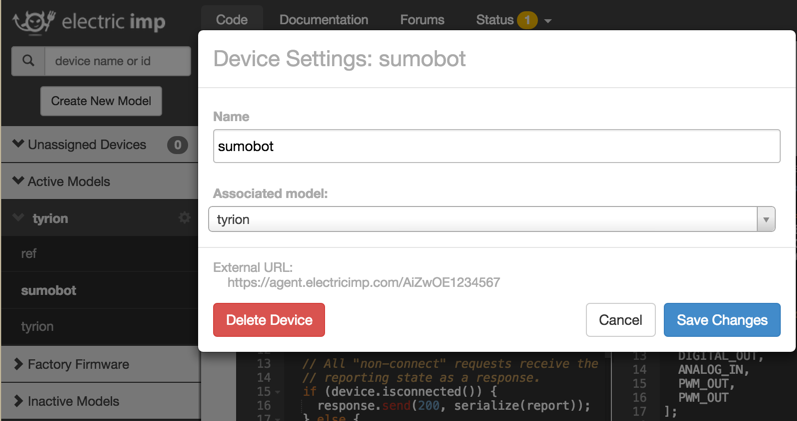 Under Active Models in the right-hand menu, click the gear icon next to the name sumobot. This will open a dialog that displays a url as: “External URL: https://agent.electricimp.com/ + agent id“. Copy the device/agent id, which would be “AiZwOE1234567” in this case. Paste the id somewhere until it’s time to use it. spark flash REPLACE_WITH_DEVICE_ID voodoo: this will flash the VoodooSpark firmware to the Spark Core with the provided device id. The built-in LED will flash magenta during the upload. Once flashing is complete (as indicated by the built-in LED pulsing cyan), this terminal can closed. 3. 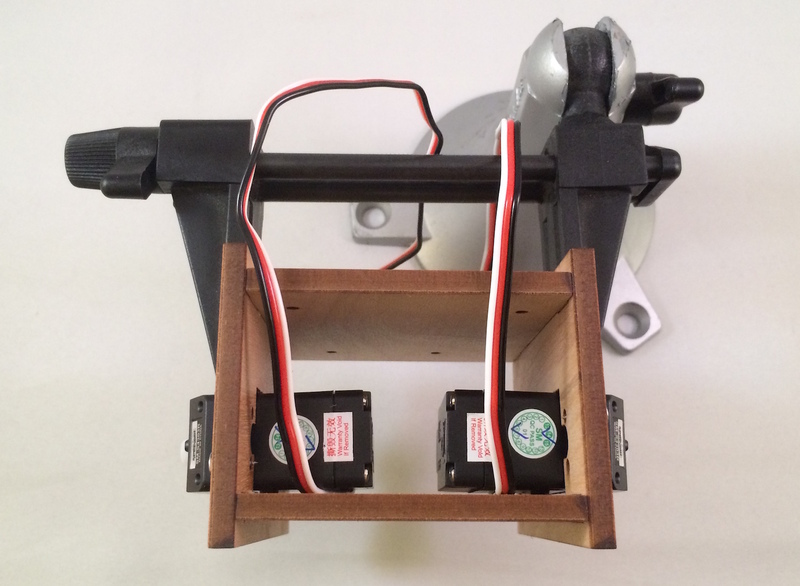 Calibrate the Continuous Servos. Missing or skipping this step is a direct path to failure. When a continuous servo’s idle pulse is not calibrated to the available PWM range of the controller board, its behavior will be erratic and uncontrollable. 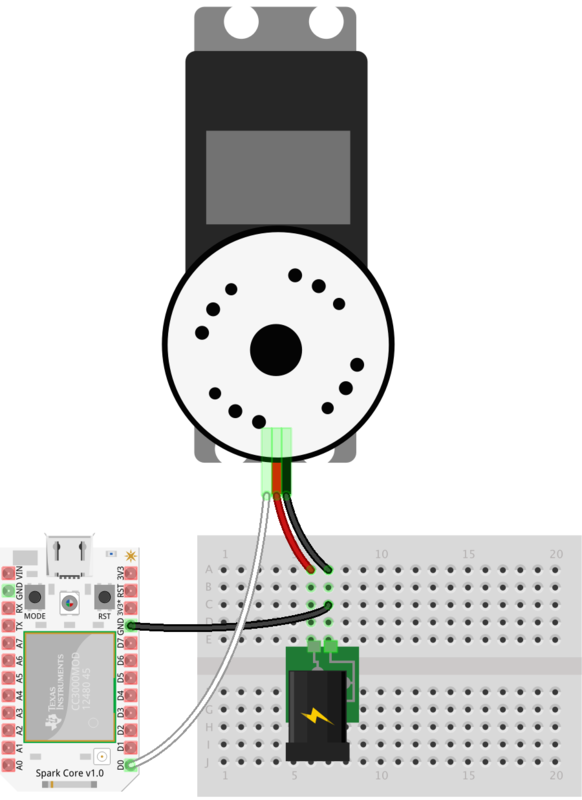 Calibration is simple: send the known idle pulse to the servo and adjust the built-in potentiometer until the servo horn comes to a complete stop. If the servo is not moving when the idle pulse is written to the servo, then it’s safe to assume that the servo is already calibrated. To confirm, adjust the built-in potentiometer in clock-wise and counter clock-wise directions; the horn should respond by turning in the corresponding direction. 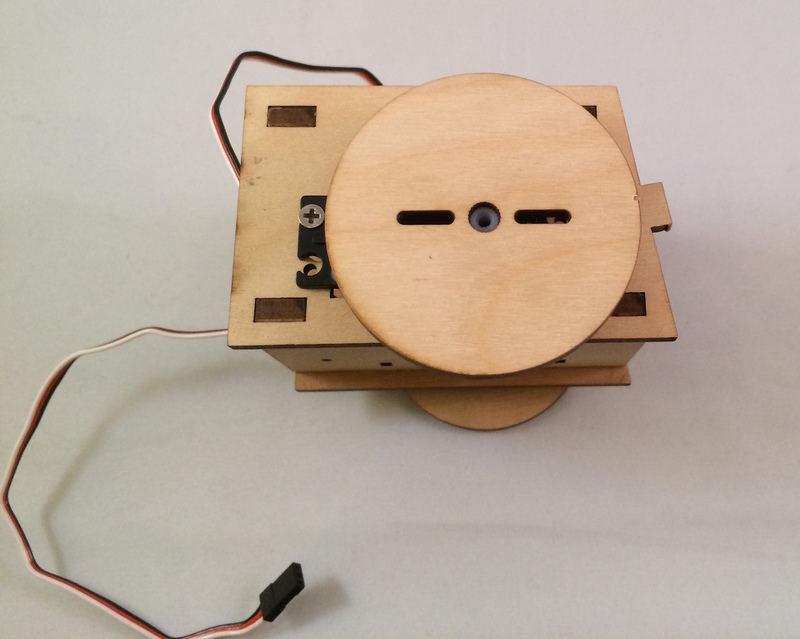 The SumoBot Kit includes an insert that provides a numbered and illustrated assembly guide; while the guide is adequate, this build is different enough to warrant its own set of instructions. 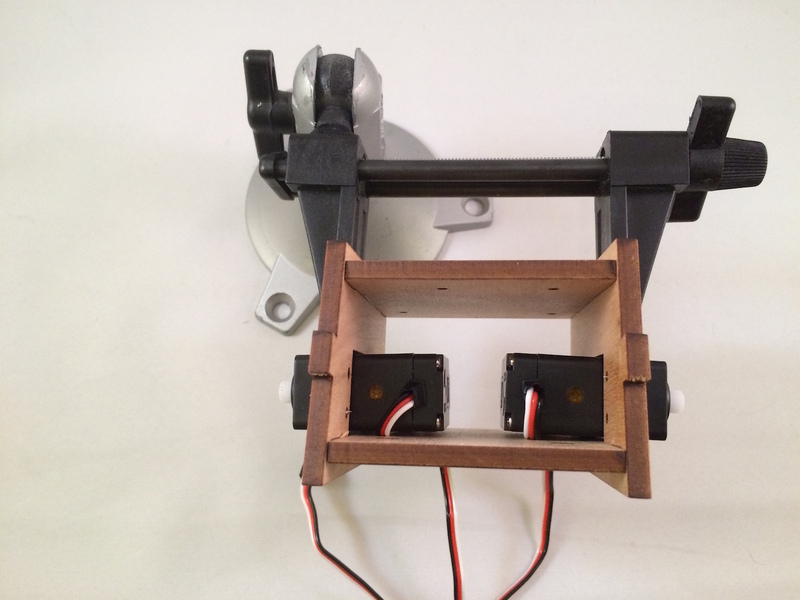 Using adequate force, push the wheels onto the servo horns. 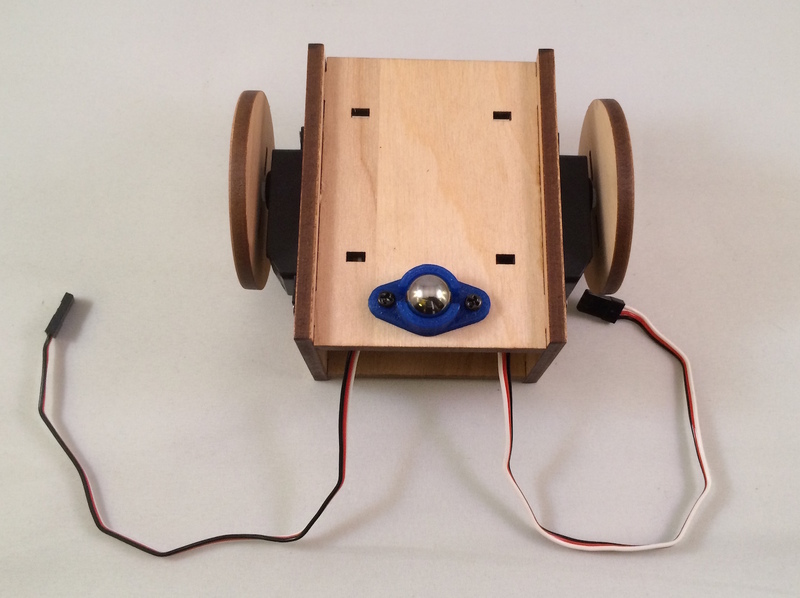 Notice that the wheels are notched to match the servo horn. 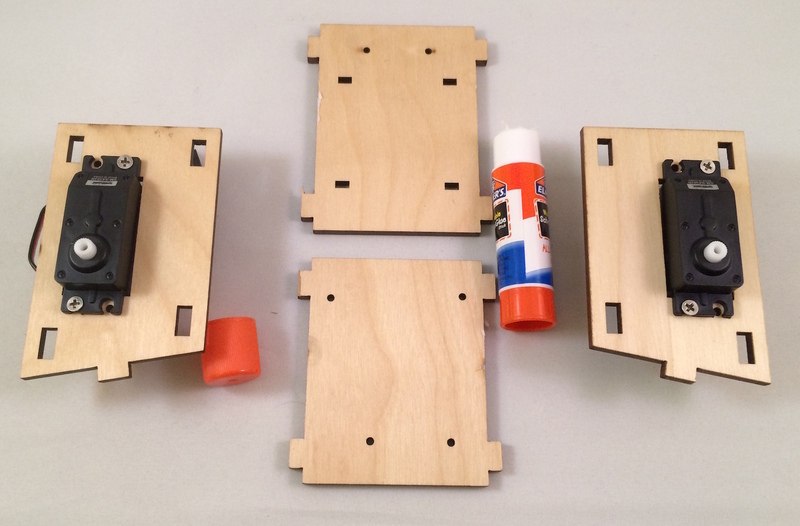 Attach the front panel to the bot (glue is optional, as you may want to customize this later). 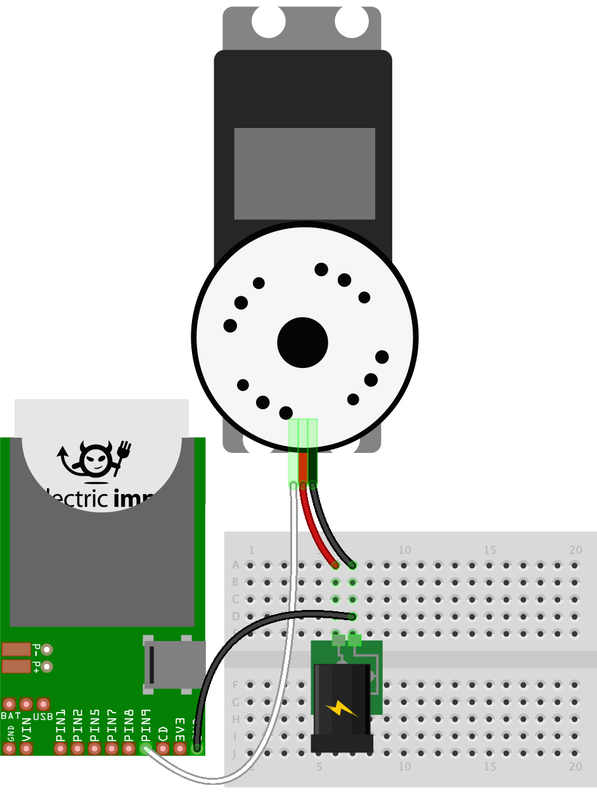 Over the next three articles, I will show how to use the Electric Imp, Arduino Uno and Spark Core boards as controllers for the now assembled bot.